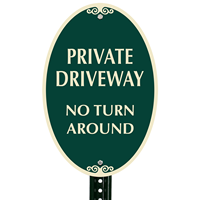 Prevent unwanted vehicles on your private driveway with a sign that isn't an eyesore. 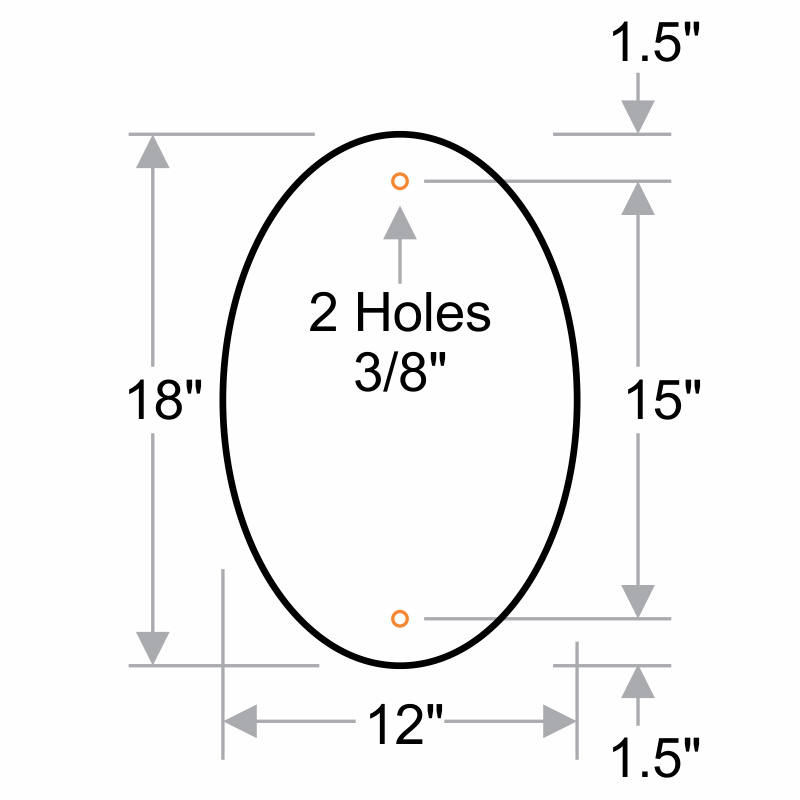 Our appealing Oval Designer Series was made to make your signs as attractive as they are effective. 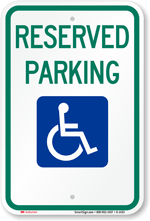 Our designer signs are easy to mount onto poles or any other flat surface for optimal visibility. 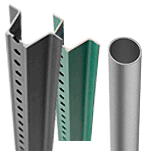 These attractive signs are built from .080" thick aluminum that will never rust or wear. 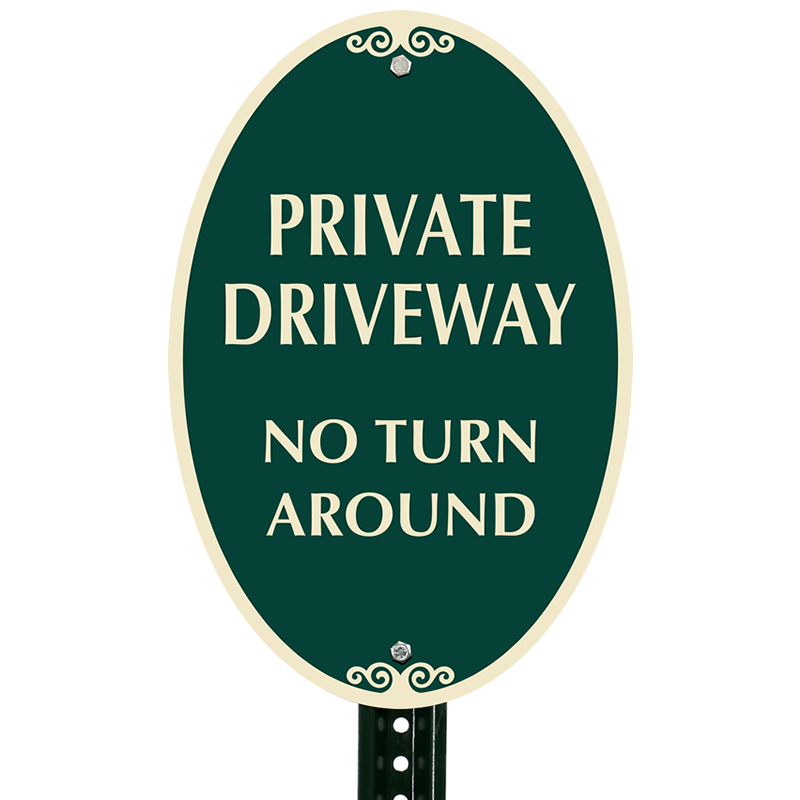 Choose from different sign designs that can match or blend with your property or roadway design. 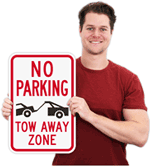 Enjoy fast shipping on all of our stock designer signs. Choose multiple signs to match your set, and save on bulk pricing! Very nice quality and attractive in the yard. We're ordering a second one! Nice sign on one side, bare aluminium on the other. Should be painted green on the back side also. Nice quality. Good price and service. Outstanding quality. Would definetly order again in the future. Was a good size to put in our driveway gate. Ever since our mail boxes for our street have been moved across our driveway, neighbors are using it as a turn around; thus the need for this sign. Tasteful and hoping our neighbors can read.